The Delhi Brasserie first opened its doors in May 1985, and has been keeping its customers happy with its broad range of north Indian cuisine ever since. First laid out in the late 17th century, The Delhi Brasserie’s Frith Street home is one of the oldest streets in Soho, and has seen more than its fair share of famous faces down the years. But Frith Street has also been home to innovation. The 1950s saw London’s first espresso bar opened here, showing a sign of things to come in this age of coffee shops on every corner. 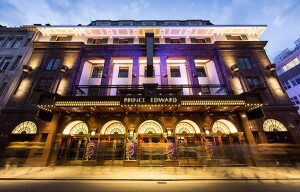 Prince Edward theatre is situated on Old Compton Street, just to the north of Leicester Square very close to “Delhi Brasserie” the best Indian restaurant near Prince Edward theatre. This theatre was opened on 3 April 1930 with a performance of the musical Rio Rita, a musical comedy by Harry Tierney. The seating capacity at prince Edward Theater is close to 1618. Box Office Opening Hours: Monday – Saturday: 10.00am – 7.45pm. After enjoying your show at Prince Edward theatre, fill your tummy with yummy Indian cuisine at “Delhi Brasserie” the best Indian restaurants near Prince Edward theatre. Apartments offer dining and living rooms. Freebies include access to a neighboring gym, bike loans, and a laundry service for workout clothes. Other amenities include a hair salon and meeting spaces. Delhi Brasserie is one of the best Indian restaurants near St Martins lane, relish the freshly ground authentic Indian spices here. 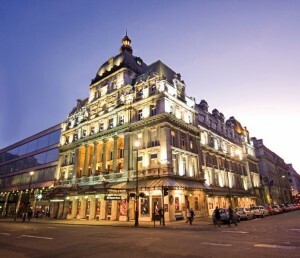 Her Majesty’s Theatre is a West End theatre situated on Haymarket in the City of Westminster, London. The current building was erected by the famous Actor Sir Herbert Beerbohm. The theatre hosted the original production of George Bernard Shaw’s Pygmalion and Oscar Asche’s record breaking Chu Chin Chow. On the accession of Queen Victoria in 1837, the theatre’s name was changed to Her Majesty’s. The nearest underground station is Piccadilly Circus (Piccadilly and Bakerloo lines). The nearest car park is in Leicester Square. 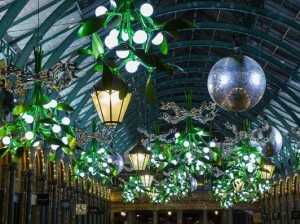 Covent Garden is a district in London on the eastern fringes of the West End, between St. Martin’s Lane and Drury Lane. The Royal Opera House, often referred to as simply “Covent Garden”, was constructed as the “Theatre Royal” in 1732 to a design by Edward Shepherd. 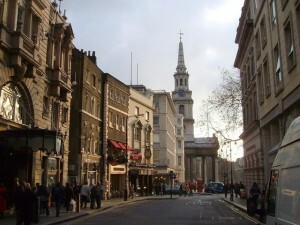 The central square is often marketed as “Covent Garden Piazza” to distinguish it from the eponymous surrounding area. This place has a great range of shops, restaurants and bars with street entertainment often happening at every nook and corner of Covent Garden. Enjoy and relish the Indian cuisine at “Delhi Brasserie”, the best Indian restaurants near Covent Garden.